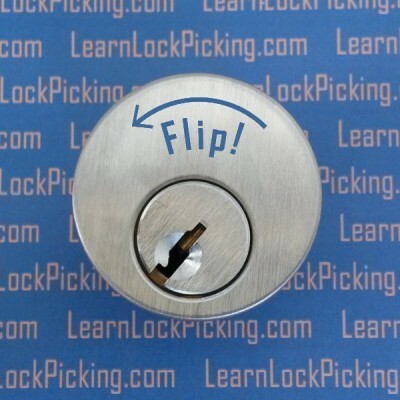 Heavy duty aluminum and steel tool used to flip the lock from clockwise to counter clock wise or the other way around. 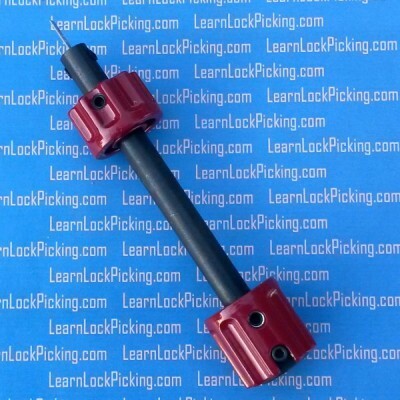 Used for locks that can only be picked in the wrong direction or whenever you pick a lock in the wrong direction. SKU: HD-PlugSpinner. 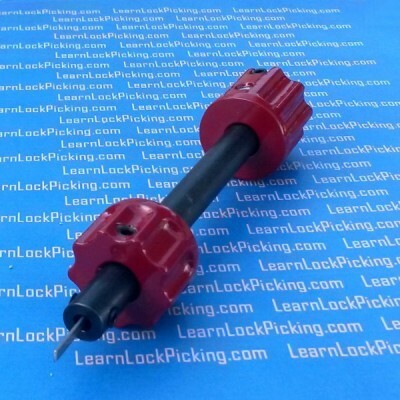 Categories: Lock Picks, Locksmith's Tools. Brands: Rytan. Heavy duty aluminum and steel tool made in the USA for professional locksmiths. Sometimes a lock is easy to pick in one direction and difficult to pick in the other. Or sometimes, we pick a lock in one direction and find out we should have picked it the other way. Of course if you’ve picked a lock clockwise and then try to rotate it counter-clockwise, it will just lock itself and you’ll have to start again. A plug spinner rotates the lock to the other direction so fast that the pins didn’t have a chance to fall back into the locked position. To use this professional plug spinner, twist the two operating knobs 180º and push the two knobs together to lock the tool. 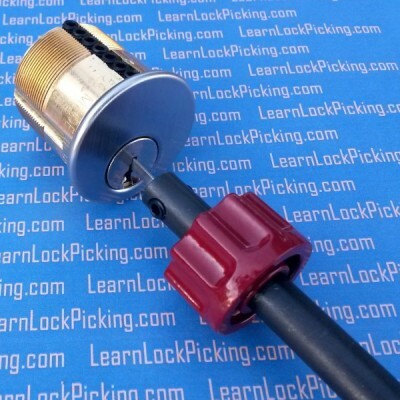 insert the blade of the tool into the lock’s key way and press the button on the end. The spring loaded tool will flip the plug past the locked position to the unlocked position opposite where you started.